The Tiger 800 XR models provide the highest levels of comfort and technology for the perfect adventure. 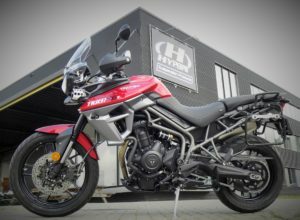 The Tiger 800 XR is the perfect motorcycle for everybody who is looking for easy riding and steering in daily traffic as well as comfort and fun on long distances. 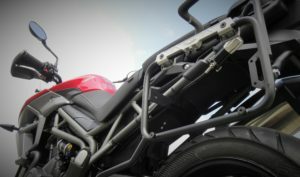 For this motorcycle range Hyperpro has developed an extensive range of suspension products to improve steering, reduce braking distance and improve stability. 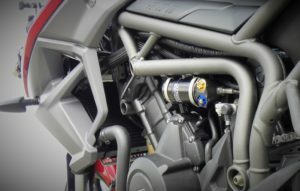 The next level would be to install a Streetbox which contains progressive front fork springs and a 460 emulsion shock absorber. 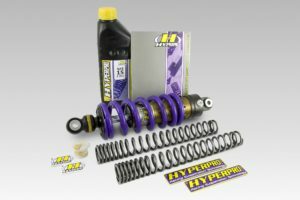 Next to all these products Hyperpro also developed a lowering spring kit which lowers the bike 25mm. 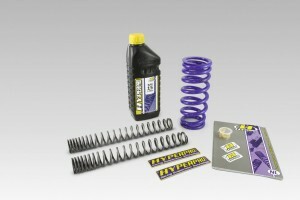 This kit contains progressive front fork springs with a lowering link-kit.